Lucasfilm and The Walt Disney Studios will begin filming “Rogue One: A Star Wars Story” reshoots this month, and casting is underway for new speaking roles and extras. Academy Award nominee Tony Gilroy has been hired to write the new scenes and characters for the reshoots. The reshoots are part of the pre-planned schedule, and will take place at the Pinewood Studios in London beginning on June 20, 2016 and will continue for 6 weeks through early August, 2016. Director Gareth Edwards wanted the opportunity to study the completed footage and then go back and make adjustments to perfect the story and roles. 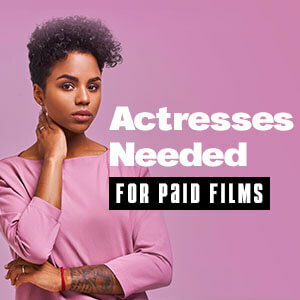 To be considered for these new roles, all actors and extras must have legal eligibility to work in the entertainment industry in London and in the United Kingdom. Film crew members who are interested in working on the reshoots can now submit resumes. All actor, extras, and crew member submission/registration details are posted below. “Rogue One: A Star Wars Story” centers on seven major characters, Outlaw Jyn Erso played by Felicity Jones and her team of Rebel infiltrators played by Diego Luna, Donnie Yen, Alan Tudyk, Riz Ahmed, Forest Whitaker, and Wen Jiang. Ben Mendelsohn also stars as an Imperial Officer, and Mads Mikkelson plays Jyn Erso’s father. Set nineteen years after the foundation of the Galactic Empire, a wayward band of Rebel fighters come together to carry out a desperate mission: to steal the plans for the Death Star before it can be used to enforce the Emperor’s rule. Primetime Emmy Award nominee Gareth Edwards is directing “Rogue One: A Star Wars Story” from an original screenplay written by Academy Award nominee Chris Weitz and Gary Whitta, based on characters by four-time Academy Award nominee George Lucas. The new reshoot scenes are written by Academy Award nominee Tony Gilroy. Eight-time Academy Award nominee Kathleen Kennedy is producing for Lucasfilm along with four-time Primetime Emmy Award nominee Tony To and John Swartz. Executive producers are Simon Emanuel, Academy Award winner John Knoll, and Lucasfilm SVP of Physical Production Jason D. McGatlin. To be considered for extra work, fill out the following registration form: Rogue One: A Star Wars Story Reshoot Extras. Put “Rogue One London Reshoot Crew” in the subject line of the email. ABSOLUTELY NO ACTOR OR EXTRAS SUBMISSIONS TO THIS EMAIL ADDRESS. “Rogue One: A Star Wars Story” is scheduled to be released in theaters worldwide on December 16, 2016. Walt Disney Studios Motion Pictures will handle domestic distribution.